Equitable and Sustainable ICT Access for All. To facilitate the achievement of universal service and universal access to ICT, through partnerships, which stimulate development in rural, un-served and underserved communities. The mandate of the USPF as stipulated in the Nigerian Communications Act 2003, Part IV, Section 112 is to "promote the widespread availability and usage of network services and applications services throughout Nigeria by encouraging the installation of network facilities and the provision for network services and applications services to institutions and in unserved, underserved areas or for underserved groups within the community." "... universal, ubiquitous, equitable and affordable access to ICT infrastructure and services, constitutes one of the challenges of the Information Society and should be an objective of all stakeholders involved in building it." It, therefore, became imperative for governments to promote policies that "... enable universal service obligations to be met in areas where traditional market conditions fail to work. In disadvantaged areas, the establishment of ICT public access points in places such as post offices, schools, libraries and archives, can provide effective means for ensuring universal access to the infrastructure and services of the Information Society." 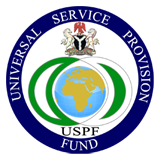 Nigeria’s buy-in and response to this global concern was demonstrated by the establishment of the Universal Service Provision Fund (USPF) by the Federal Government of Nigeria to facilitate the achievement of national policy goals for universal access and universal service to information and communication technologies (ICTs) in rural, un-served and under-served areas in Nigeria. The Fund is being managed to facilitate the widest possible access to affordable telecommunications services for greater social equity and inclusion for the people of Nigeria. 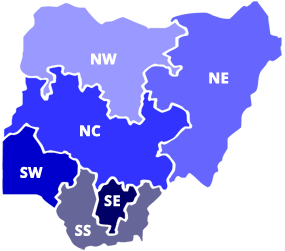 The Nigerian Communications Act (NCA) No 19 of 2003, Part IV established the Universal Service Provision (USP) and mandated the Board to supervise and provide broad policy directions for the management of the USP Fund. Section 118 of the Act established the USP Secretariat and states that it shall reside in the Nigerian Communications Commission (NCC) and shall be responsible for the day-to-day administration of the Universal Service Provision. Pursuant to this mandate, the USP Fund started operation in August 2006 and has embarked on various projects to realize its objectives.